We are taking over Indiegogo! 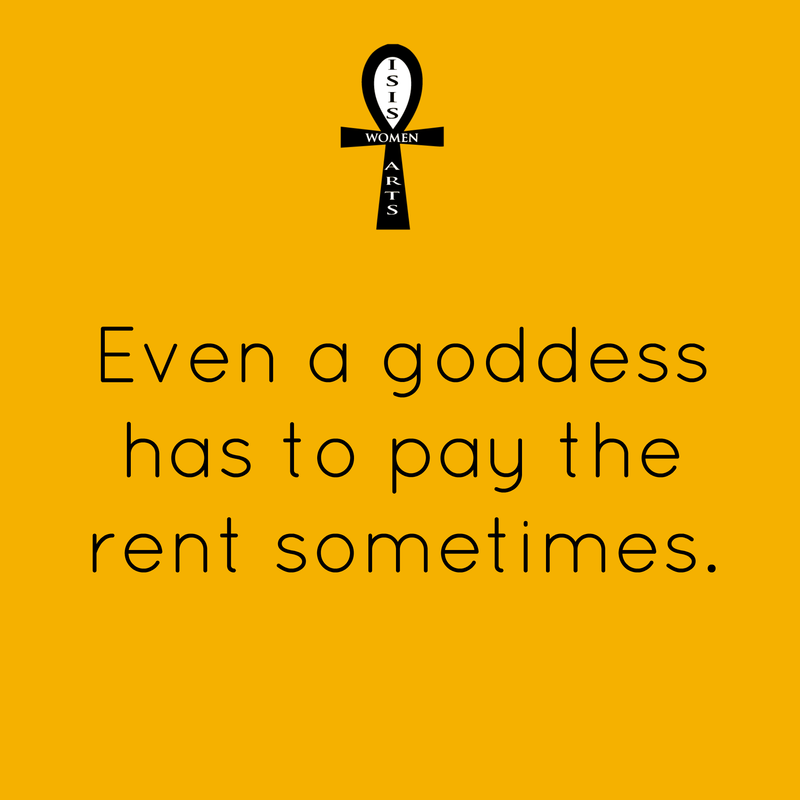 Not really but Isis Women Arts has launched an Indiegogo campaign and we really would like your support. Since its inception, the Isis Women Arts Festival has been built off the blood, sweat, tears and pockets of our dear director, Kathryn Hightower. Though each festival has been a success with a large turnout, the expenses have been hefty. This is why we have launched our campaign. To keep the festival going and to sustain our operations, we desire financial backing. We are not a profit agency but a collective present to support and empower the woman artist. We have a vision to increase not only our festival but to continue to build community throughout the year with workshops. It’s a part of our mission. It is who we are. As singer-songwriter Paula Cole once stated, “I hope and believe we are paving a better future for female artists to come.” Isis Women Arts hopes and believes this as well. Do you? Would you be so willing to give today? 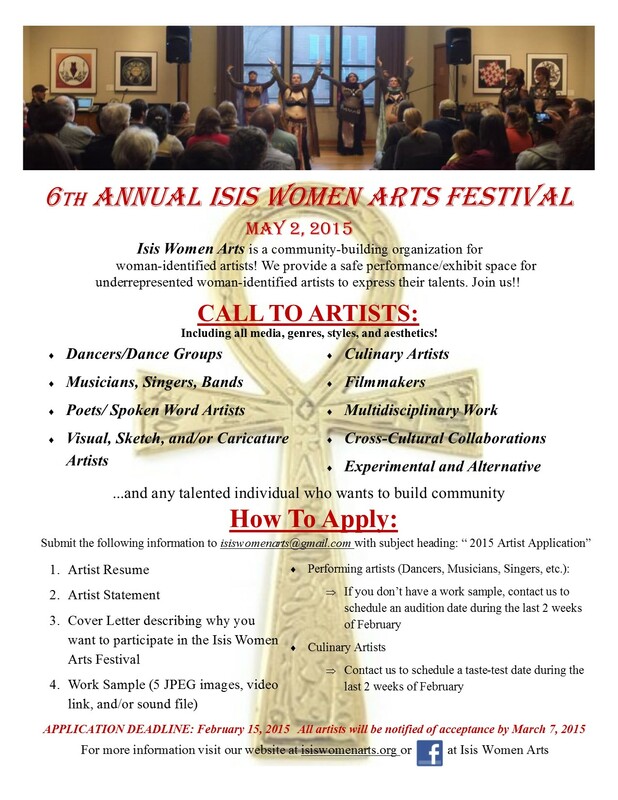 6th Annual Isis Women Arts Festival Coming in May! Spring is approaching fast and so is the 6th Annual isis Women Arts Festival. Artistic goddesses are bringing the goods once again. This time we’ll be making our mark at the Hillman City Collaboratory in Seattle, WA on May 2. We will have a showcase a variety of amazing, talented performing and visual artists from painters, photographers, dancers, musicians, and more. Doors open at 7pm. Suggested donation is $10 but we welcome everyone with open arms. See you there!